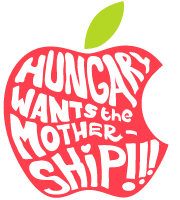 Apple fans in Hungary are hoping to convince Apple to open its own local offices and stores in Hungary with an open letter to Apple. Some of the main issues are iTunes store, Localization, Availability and Apple Hungary’s website. This is another inspiring site, we Saudi Apple users should be able to start something similar.